Any serious griller knows that the best way to flip your cooking meat is to use a good, sturdy spatula. This stainless steel spatula is made of only the highest quality material and feels good in your hand. Grilling tools are the best way to make cooking outdoors easier and helps you make your food tastier. 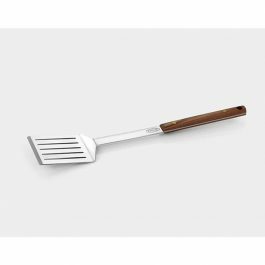 Get your hands one this grilling spatula today.